Living in the middle of nowhere - when I say nowhere, I mean surrounded by dirt roads and limited cell service - we have to take vehicle safety serious. We have a breakdown, wreck, or any kind of vehicle problems; it very well could be a mile or two hike until we can make a phone call. Fifteen or so years ago (we don't really want to know how old I am) I took off for town one Tuesday morning. My then Chevy Lumina had been acting funny - I am a girl, I mentioned it to my dad, but again I am a girl - I got a little over a mile down the road and my car just quit going. The only option I had was to leave it on the side of the road and start hiking back home - did I mention that I lived down a dirt road in the middle of nowhere. I hiked about 5 mins and along came a neighbor that I barely knew - they offered me a ride and I took it - fortunately for me my neighbor was not a bad person, cause I am still here today to tell the story. Come to find out my car was really sick - when I say sick, I mean $1500 later sick - my transmission went out that morning. The scary part is my transmission had been going out for a while and I had been driving my car everywhere at all times of the day. Thinking back on that crazy day and the days leading up to it makes me think about all the things I wish I had known. While my story ended semi-good (it did cost me a ton of money); it could have ended really bad. When your vehicle is acting funny do not let people just brush you off. You know your vehicle, you know the way it drives, when it makes a funny noise be sure they take that serious. Do not take off across country if your vehicle is not running right - while I was only a mile or so from home when the car broke down - just 3 days before it broke down I had been 40 miles from home at 4 am in the morning - it is scary to think what could have happened. Vehicle maintenance is important - there is more to keeping your car up then changing your oil. You have to have everything serviced, so minor issues can be found and dealt with. Vehicle issues or problems can cause car accidents - while I was lucky and was on the dirt road going only a few miles an hour, I could have been on a major highway doing 70 mph when my transmission went out - that would have been really bad. Car crashes remain the No. 1 killer of teens, with 2,614 teen drivers of passenger vehicles involved in fatal crashes in 2013, according to the National Highway Traffic Safety Administration - I could have been one of those statistics. Many accidents could have been prevented if people (especially teens) had a better understanding of how important vehicle maintenance is and how to react in certain driving situations. 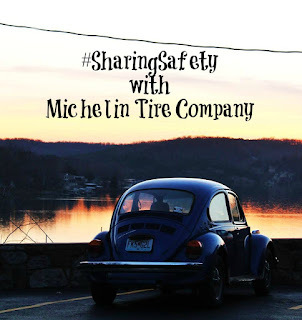 Michelin Tire Company is helping America become more informed on vehicle safety - they are looking for your vehicle safety stories. 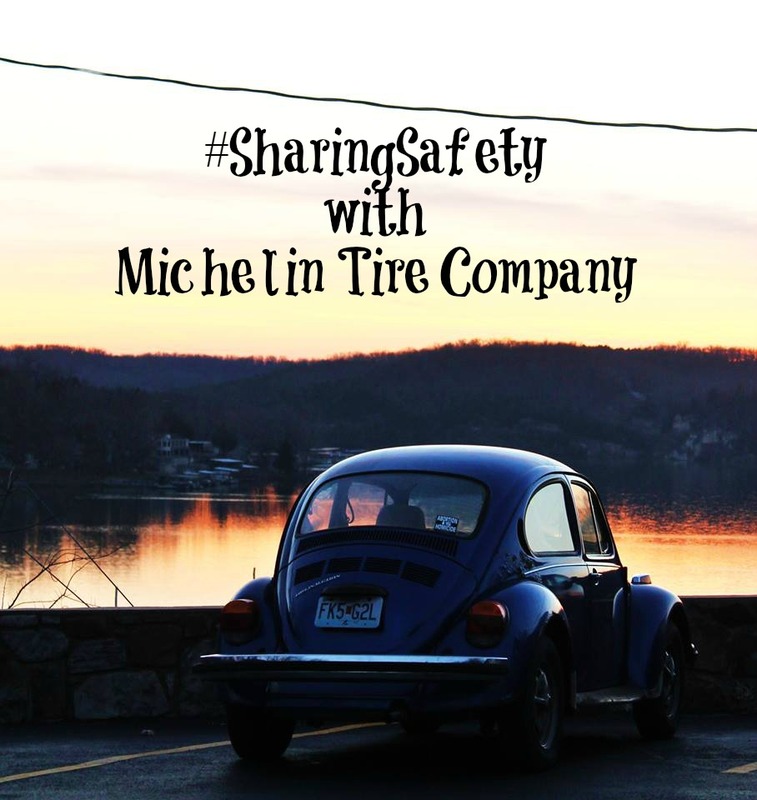 They are asking for you to share tips on what you have been taught (and learned the hard way) over the years by using the hashtag #SharingSafety on social media. They are also (drumroll please) GIVING AWAY a $600 Gift Certificate for Michelin Tires! Oh Yes! Who couldn't use that right before winter weather hits! Rather we are old, young, or somewhere in between (like me); we all share the road so let's keep it SAFE.